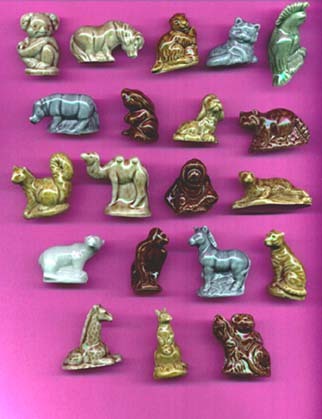 Wade Red Rose Tea Series 2 Figurines from the USA 20 Animal Set and has been long discontinued after running in a promotion for many years.They are about 1 1/2 to 1 3/4 inches high and are solid. Most Wade collectors start with this set and is a good starter set for new comers. .......(pictured below).......1 premium was inside a box of Red Rose Tea.